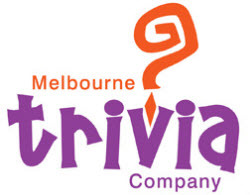 Melbourne Trivia Co host Melbourne's most popular trivia quiz events. Melbourne Trivia has a reputation for presenting funny and enjoyable trivia events around Victoria. We're proud that the most frequent comment we hear about our events is how professional we are - usually followed closely by how good a time everybody had! We present corporate events, social club and other social events as well as fundraisers for charities, schools, kinders and sporting clubs etc. Our events feature music, games, comedy and an amazing variety of trivia on all sorts of subjects. We have up-to-date computers, audio and video equipment at each event, but our emphasis is on people, not technology - we like to enjoy ourselves!